17/11/2017, New Delhi – The Indian Exhibition Industry Association organised its 11th Annual General Meeting today at the India International Centre, New Delhi. The ten members IEIA Executive Committee constitutes of four members from Organisers, one from venue Owners, two members from Service Providers, while one member each for the Honorary Secretary & The Honorary Treasurer post and the Past President. From the Service Providers, Ravinder Sethi, Managing Director – R.E. Rogers & Vipul Agarwal, Managing Partner – Expro Events & Exhibits were the two contestants, from Venues – S. Balasubramanian, COO – BIEC, while there were five contestants from organisers, so elections had to be contested among K V Nagendra Prasad, COO – HITEX, Sonia Prashar, Managing Director – NuernbergMesse India Pvt. Ltd., Max Fernandes – Director Operations, UBM India Pvt.Ltd, M B Naqvi, CEO Media Today Pvt. 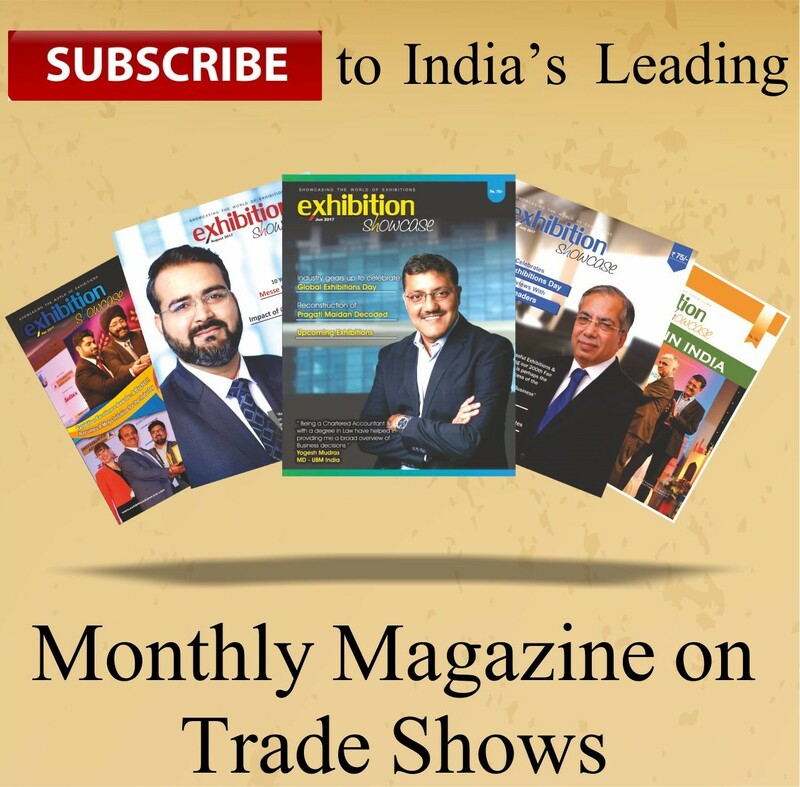 Ltd. & Gaurav Juneja – Director, Mex Exhibitions Pvt. Ltd., through voting, in which M B Naqvi could not make in the top four. While K V Nagendra Prasad has been re-elected as the President and Ravinder Sethi as Vice-President, Bhupinder Singh, CEO, Messe Muenchen India, takes over from Rajiv Malhotra as Honorary Secretary and Sudeep Sarcar, VP, IEML, takes over from M B Naqvi to become the Honorary Treasurer of IEIA. In the Picture – the newly formed IEIA Executive Committee. From Left to right sitting posture : Rakesh Kumar (Past President), K V Nagendra Prasad (President), Ravinder Sethi (Vice-President), Balasubramanian. From Right to Left standing : Sudeep Sarcar (Hon. Treasurer), Sonia Prashar, Bhupinder Singh (Hon.Secretary), Max Fernandes, Gaurav Juneja & Vipul Agarwal. “It’s a great honor to be re-elected as Vice President of the IEIA . I profusely thank the industry for bestowing this confidence in me again . The coming years will see our industry going to greater and new heights , and I’m excited to be a small part of getting us there . My promise – I will continue to to keep the Indian flag flying high in the global industry,” Ravinder Sethi. It’s an honor to be elected unanimously as the Honorary Secretary.I thank all the members for their trust and confidence in me! 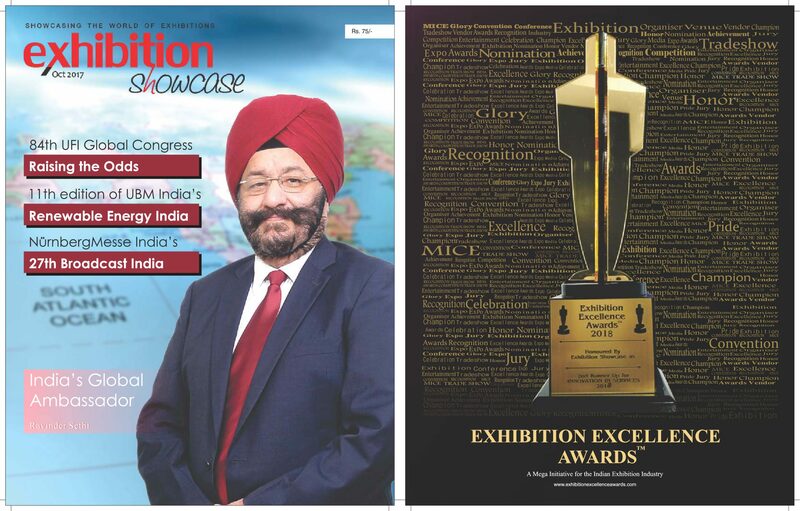 The Indian exhibition industry has a compelling story to tell and as an association, we will ensure that we take this story to the right audience,” Bhupinder Singh. “Thank God the election has concluded with all the last minute surprises. Its a wonderful team & my congratulations to all. Looking forward to an effective tenure of the entire EC and towards working cohesively in the spirit of unison for the growth of the Indian Exhibition Industry,” Sudeep Sarcar. “I thank the Indian Exhibition fraternity for giving me the opportunity to be a part of the EC for another term. I feel truly honored and shall try my best to do justice to the responsibility & take IEIA to even greater heights. Last but not the least, my heartiest congratulations to all EC members ” Vipul Agarwal. PACKPLUS 2018 – SURPASSES ALL PREVIOUS RECORDS! Interview with Mr. Yogesh Lakhani, CMD – Bright Outdoor Media Pvt.Ltd.